We are taking reservations for Thanksgiving! We are offering three seatings this year. This day is served by reservation only and we are booking up fast. 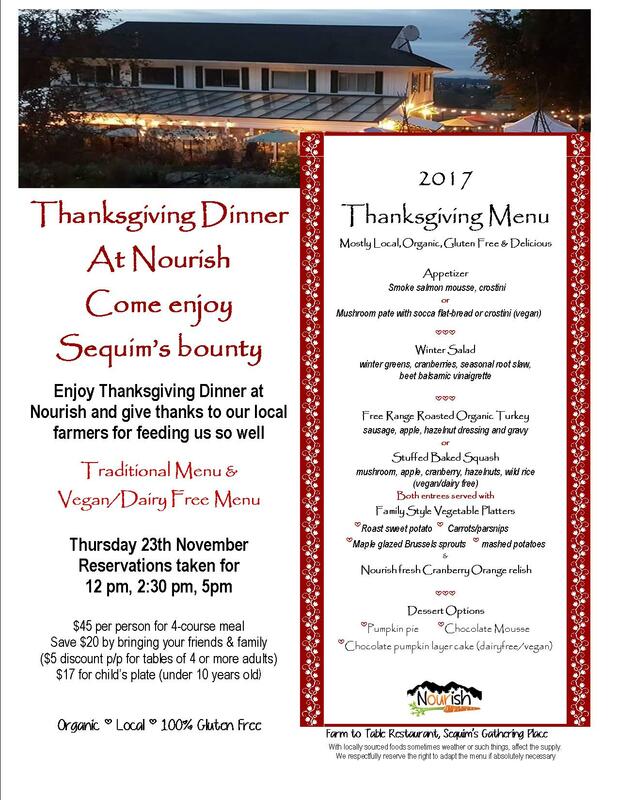 Please call 360-797-1480 or email us to book your table! Parties of four or more will receive a discount, so invite a couple of friends.